Buying a home together is one of the most exciting things that a couple can choose to do. When you finally decide that you’re ready to take the plunge into ownership, you might be so excited that you get ahead of yourself without answering some important questions first. If you and your partner are mapping out the feng shui of your living room before you’ve even considered what you can afford, now’s a good time to press pause and have a nice, thorough talk about what your future could look like. 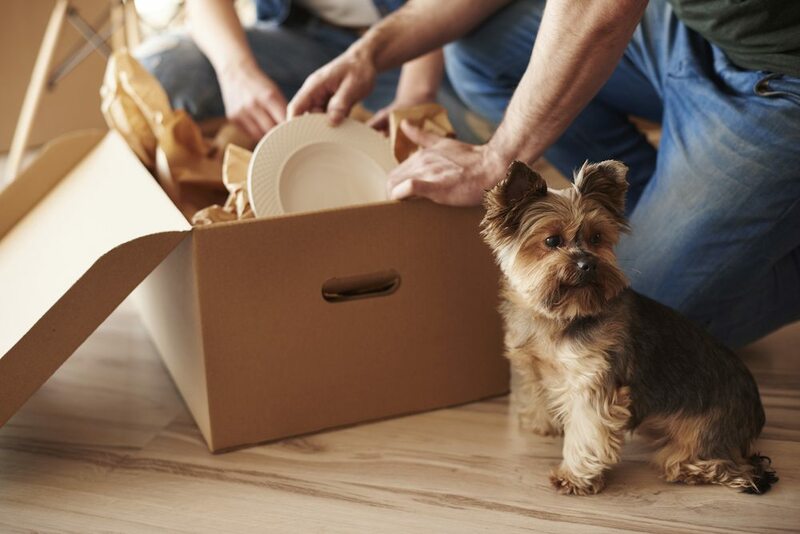 Buying is much more of a commitment than renting, so if you’re new to owning property, it’s best to get all your ducks in a row before you even start looking. Which conversations you should have will depend on how far into the process of buying in you are. Have you just decided that you’re willing and able to take that step, or have you already started crunching the numbers on down payments? Either way, there are a few subjects that ought to be covered before you call a moving truck, so prepare a checklist and get cracking. 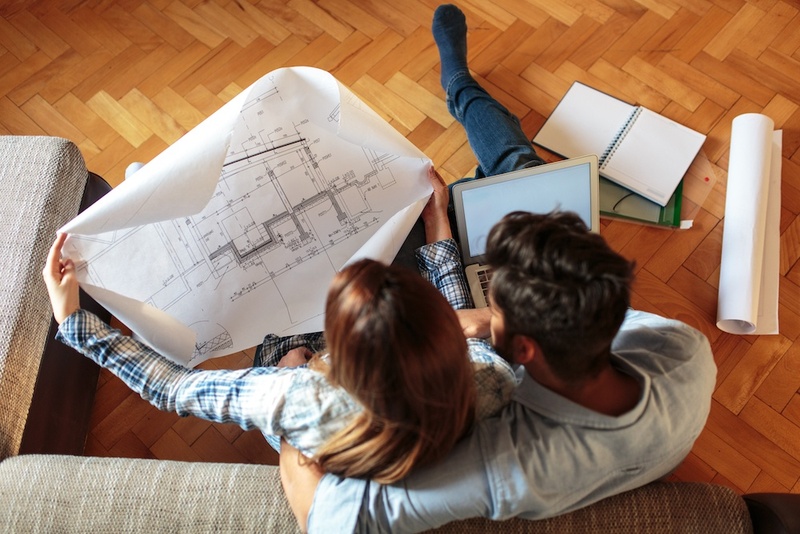 Buying together can mean lower living expenses in the long run; however, it doesn’t necessarily mean you should be looking to splurge on your wildest household dreams, particularly if this is your first time purchasing a property. Take stock of your expenses to establish what is and isn’t possible. You’ll be sharing a lot now, which means it’s time to lay your cards out on the table. If particular splurges are part of your average month, your partner needs to know so you can plan accordingly. 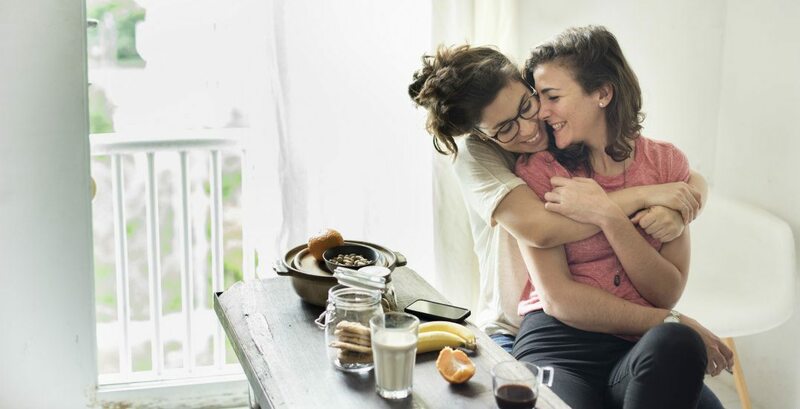 When it comes to owning a home, paying off your mortgage has to come first — and you’re in it together, so it’s best to be as mindful as you can. It might be a touchy subject, but if either of you makes disproportionately more money than the other (or has far more debt than the other), it’s worth discussing how you’ll be splitting the payments. Half-and-half isn’t always the way to go, and every couple’s needs are different. You could consider setting up a joint account for all household expenses (including mortgage payments) that you each pool a certain amount of money into per month. No matter what, the most important thing is that you’re both comfortable and capable of sustaining a happy, balanced budget together. Now that you’ve chatted about each other’s personal and financial needs, you can move onto the fun part: picking out a place. Choosing the neighbourhood you want to live in is often as important as choosing a home itself. Are you willing to commute as a trade-off for living in a sleepier, more suburban community? Or would you rather be in the thick of the city’s culture and nightlife, just steps from your downtown office? Depending on your and your partner’s needs, this choice might require some compromise. If you’re seeking a home that’s removed from the hustle and bustle of downtown without being more than a stone’s throw away from desirable amenities like shopping and green spaces, the new Brookfield Residential homes at Capella are a great place to start your search. Nestled in Calgary’s vibrant University District, this community is made up of contemporary condos and single-level residences and emphasizes walkability and access to beautiful outdoor spaces. You’ll be neighbours with Calgary staples like Bowness Park, McMahon Stadium and the Jubilee Auditorium. Plus, the homes are meant to be personalized and come in a number of different sizes and styles, so you can truly make your space your own. If you’re going in on a home together, you’re in it for the long haul! This chat is a little more personal than the rest and might even get you jazzed for what you have in store. There’s only one thing left to do before you decide where you’ll be calling home, and that’s to get excited! Buying a home together is no small feat and finding someone you want to see every morning and night is a beautiful thing. Make sure you’re ready for it, and it can be the first step to spending many happy years with the coolest roommate ever.